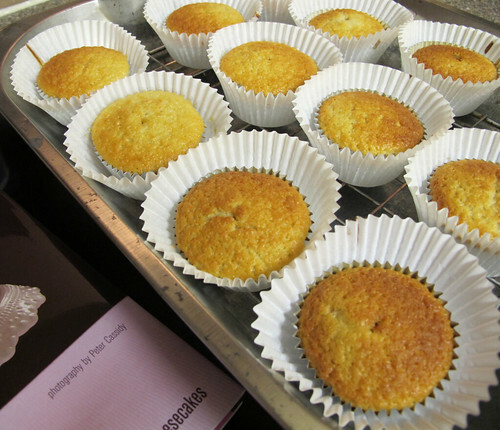 I made lavender cupcakes from the Hummingbird Bakery cookbook. I wish you could smell them from the photos... they're heavenly. The recipe calls for whole milk infused with dried lavender flowers, preferably left overnight. I bought a bunch of lavender last weekend. 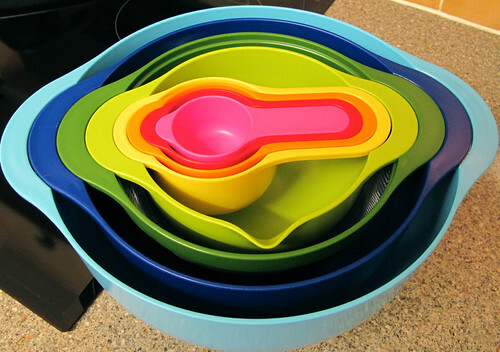 I wonder if the woman who sold it to me had any idea how I planned to use it. It took about an hour to cut the flowers off the stems and stuff them into the milk jug yesterday. This afternoon I started with the nesting bowls that M gave us for xmas. Hard not to feel happy with such fun colors and smart design. 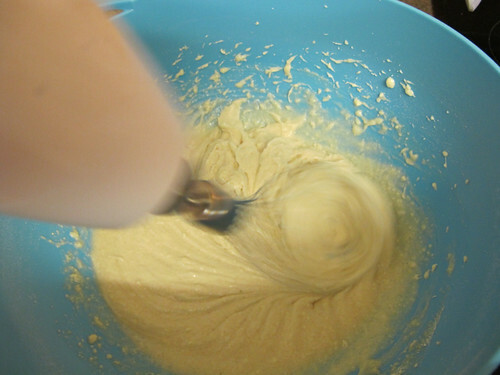 The infused milk goes into the batter for the cupcakes, as well as the frosting. While the cupcakes cooled, I made the frosting. It's not easy to make purple food coloring; I had to be careful not to oversaturate it. But I was pleased with the end result. Delicious! So fragrant and sweeeeeeet. 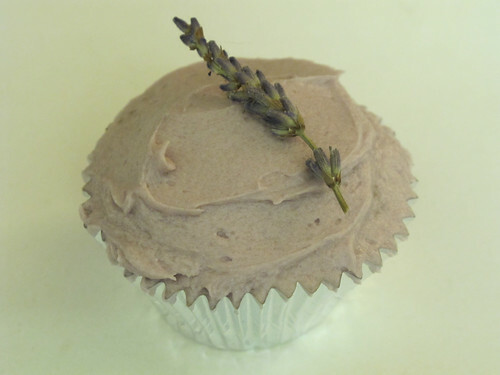 The only downside to making lavender cupcakes for Valentines/my birthday this week, is that it all but guarantees S won't send a box of cupcakes to my office again... Gotta make the lavender ones last. Good thing I have enough infused milk for one more batch!